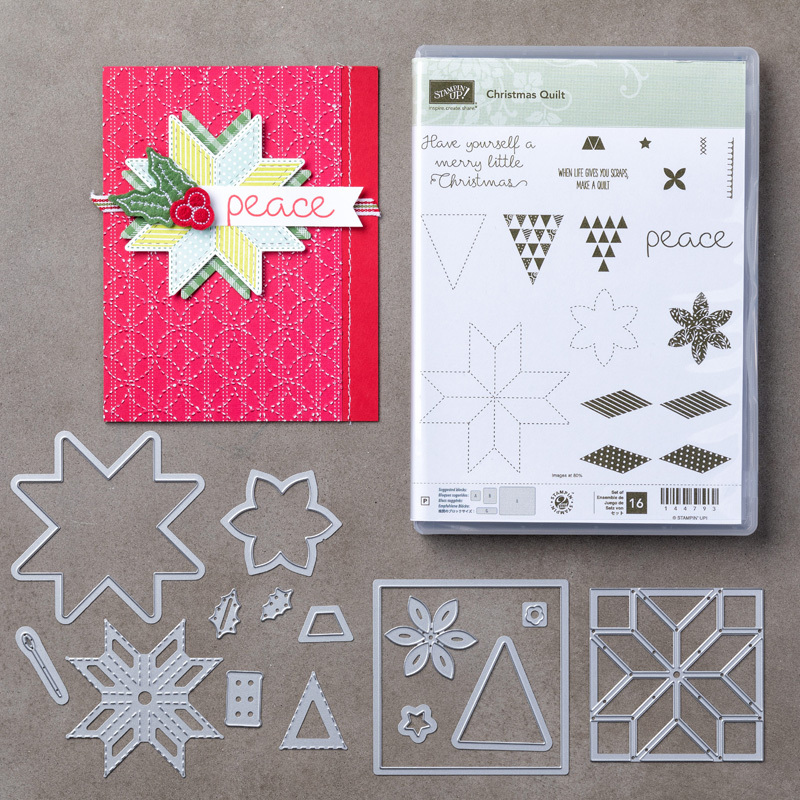 Christmas Quilt Bundle, Stampin’ Up! More Inspiration. 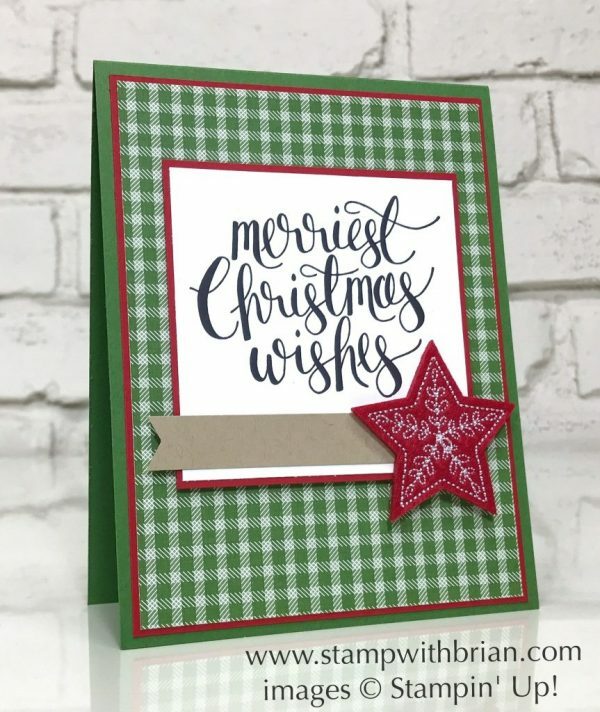 I’ve used the stamps, dies and papers from the Quilted Christmas Suite of products on several projects this season. Here’s a look at some of these projects – you can click on the pictures to see the original posts for each. We had a lot of fun making this card, and I hope you’ll give it a try. I adore how you pieced together the similar yet unique patterns. Tim Gunn would approve. Who cards what Tim Gunn thinks when Mary Fish likes it? 🙂 Thanks so much, Mary! What a special discovery! I love it. Super cute card. I think how you used paper piecing turned out beautifully. Brian, great inspiration to line up the triangles. I pinned your card. Definitely going to CASE it. I’ve been looking for inspiration for more green cards. Be still my heart! You have uncovered the method for making quilts! Just cut shapes and put them together! Honestly Brian I am so dang impressed if I had access to trophies I would send you one! This is fantastic! Oh this is fun. Love all your cards made with this bundle. I can’t wait until I get mine but I have other things to get first and make. I wonder how the Log Cabin pattern would be made with left over strips and maybe the embossing folder to go with. I need to tuck that idea away for the future! Love this pretty card, Brian. It definitely has the quilt feel with the different patterns in the same green. Love the stitched triangle die that make it easy. Great job. Gotta love it when the lightbulb goes off!! Have a great weekend. 🙂 Thanks, HJ! The stitching really adds something special. I’m so glad you like it. Bet you are good at puzzles! So clever! Adorable quilted tree! Love that tree of triangles ! CLEVER ! Have you ever thought about trying quilting ? 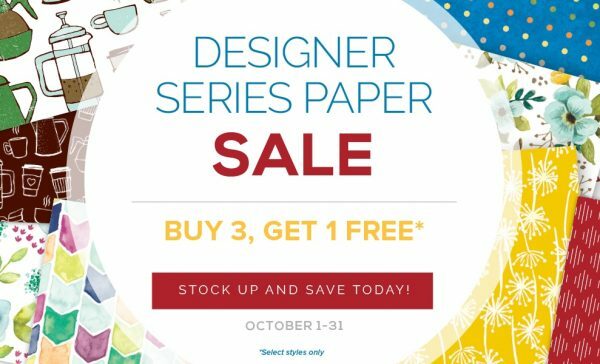 You have mastered some mighty pretty quilt type cards ! Didn’t have a chance to come by yesterday but I must tell you today that this is one super clever way to make a quilt card, love it!! !